A Pelican case with custom cut foam. The foam protects the equipment from moving during shipment. It secures all instrumentation and shipping damage is rarely reported. We have only observed two damage reports in the last 5 years from this type of packaging. One report was from a piece of threaded rod piercing a case, and the other was from this type of case getting stuck on a conveyor belt. More examples of good shipping practice are double boxing. This involves placing the MT&E in a cardboard box. The box is usually surrounded by packing material and then placed in a larger box and surrounded by more packing material. This method requires addition storage space and may not be environmentally conscious. More good shipping practice with a wooden crate with custom cut foam is good for freight and multiple uses. Blown foam can be great for packing a single item if the item does not exceed the weight limit for the foam. The item is often left loose, and any mishandling of the equipment can often result in connector or cable damage. If there is more than one piece of equipment ie adapters, and cables, then this method of shipment can result in damage. The picture on the right is a load cell with an integral connector. We have observed numerous shipments with the integral cable becoming pinched or severed with this shipping method. Equipment that is too heavy for a cardboard box. There is a false sense of security by attaching everything to a skid. Meters, cables, and other pieces are packed on top of the heavy equipment. This type of shipment can make it to the destination safely if handled properly. "If handled properly" is the risk the shipper takes. If equipment is mishandled, there is a very high probability of damage occurring. 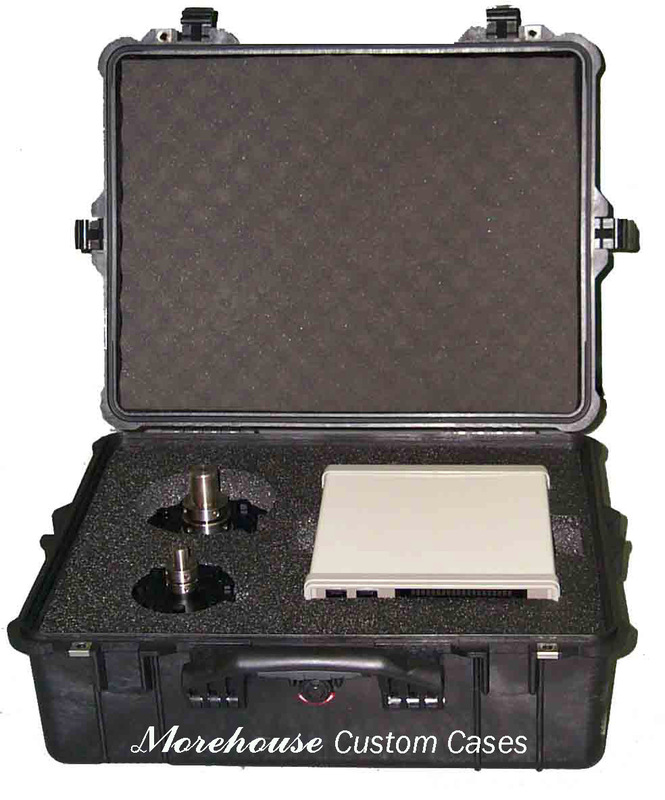 To pack this equipment properly involves an expensive custom case. We recommend investing in your equipment as anything packed in "The Bad" or "The Ugly" category is at risk for damage.